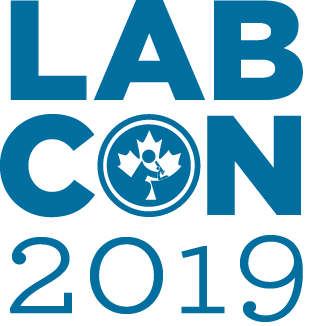 LABCON is the annual conference hosted by CSMLS as a place for laboratory professionals, managers, directors and educators to share knowledge, explore new technology and connect with colleagues from across the country. This customized full-day program is designed for those who manage others in the lab. Sessions led by industry experts will help you to navigate the potential challenges in your specific work environment. Be inspired by the energy of like-minded individuals and the knowledge from the conference. Not a member? Not a problem! If you do not have an account, click "Create a New Account" on the Log in page. Once you have logged into your account, select "Register Myself" and then click on "Add" by your chosen event. Please click "add" for every event you wish to attend (even if there is no cost). LABCON is a great opportunity for CSMLS to document the experience of delegates, exhibitors and speakers. Please note that by registering for this event, you are acknowledging that CSMLS may take your photograph during the conference for marketing and promotional purposes. Cancellation Policy: The CSMLS office must receive refund requests in writing. Requests received on or before Friday, May 3, 2019 will be refunded 75% of total fees paid. No refunds will be given after this date. Kick off your LABCON experience with a chance to catch up with old friends and colleagues as well as meet new people. Enjoy light refreshments and entertainment while you learn to navigate the conference. You must confirm your attendance by clicking the “Add” button. You must be registered for the conference to attend. This is for conference attendees to purchase extra tickets or a non-attendee to purchase a ticket. MIP + Full LABCON registration includes educational sessions for 3 days (Friday sessions specifically designed for managers/supervisors), 2 days of tradeshow entry, breakfasts, lunches & breaks for 3 days. All social events must be selected separately even if there are no fees. MIP + Saturday registration includes educational sessions on Friday and Saturday (Friday sessions specifically designed for managers/supervisors), 2 days of tradeshow entry and breakfasts, lunches & breaks for 2 days. MIP ONLY registration includes educational sessions specifically designed for managers/supervisors, tradeshow entry, breakfast, lunch & breaks on Friday. The Exhibitors’ Reception allows delegates to speak to the innovative people and companies behind the latest technology and trends. Enjoy refreshments, light fare and great company in a relaxed, casual atmosphere. This event is included with your conference registration, however you must confirm your attendance by clicking the “Add” button. The Annual General Meeting is open to CSMLS members only. The Annual General Meeting is open to NBSMLT members only. Join CSMLS President, Maria Klement, for “A Taste of Fredericton” at the Beaverbrook Art Gallery. Appreciate fine art and the art of conversation while enjoying locally inspired food and beverages. Guided tours of the gallery are included for all guests if you want to see more of what the Beaverbrook has to offer. Subsidized rate available for conference participants only. All other attendees must select the "Extra Ticket" option and pay full price.